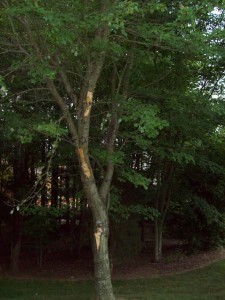 On June 15, a Poplar tree was removed near Scales Fine Arts Center when new pipe was installed under Wake Forest Road. Installation of the pipe required removing exposed tree roots, weakening the tree. The tree was also on the bank of a creek, so the root system on the creek side was exposed and undermined by erosion. 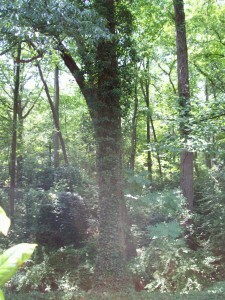 Both factors made the tree a high risk for blow over. 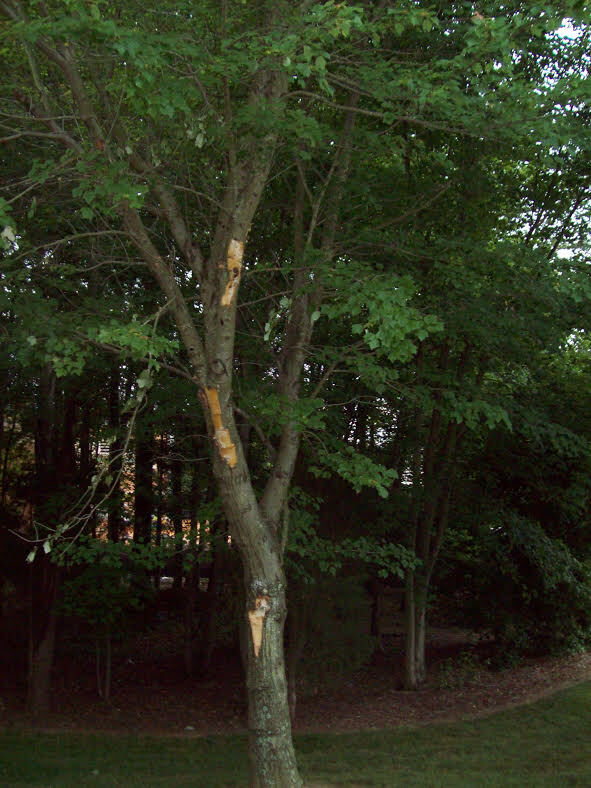 In late May, a Red Maple tree was damaged by a contractor delivering a dumpster to the construction site at Worrell Professional Center, adjacent to Lot W. These wounds, at a minimum, will cause a column of decay and weaken the tree. The tree will be removed in the near future. A suitable replacement will be chosen and planted during the landscaping phase of the project.